Travel back to Ancient Greece to join Aztar, a centaur fighting to break his curse and become fully human again! A mythical 5x3 roaming reel slot, with gripping features such as "Shoot the Beast" and the "Magical Crystal" trail bonus. 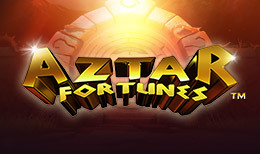 A beautifully presented game that offers the possibility of magnificent good fortune.